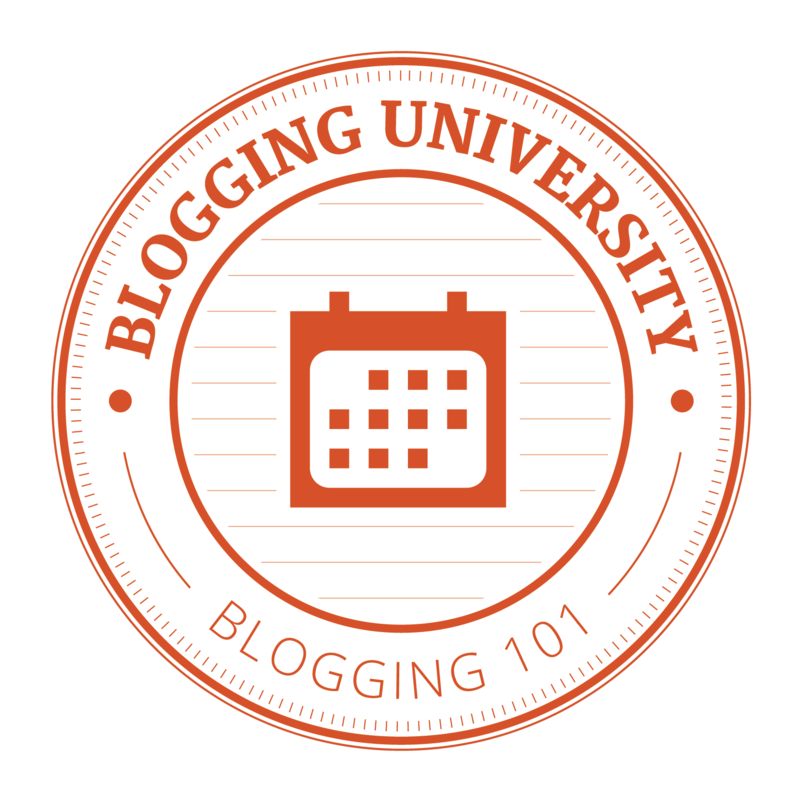 I remembered joining WordPress’ Blogging 101 early this year on a whim and I did not regret it one single bit. It opened me to a whole new “blogosphere” universe, learned a lot of techie blog stuff, met tons of awesome bloggers (yes, YOU know who you are!!! ), got inspired some more and improved my blogging skills. I realized I am not alone after all! And then came Blogging 102 and then Photography 101… which all helped me be the blogger I am today. Not that I am internet famous, haha, far from it, but looking back at when I wrote my very first post inspired by our Iceland trip and because a friend kept on egging me to start writing a blog, I have definitely come a looong way! The year end brings about a lot of retrospection and introspection for most of us. Whether we like it or not, whether we try to avoid and hide all the painful memories, they are there and are a part of who we are today. Though blogging is sometimes merely just a pastime for some, for others it is their lives, an extension of themselves, their livelihood. So we also have had some major downs in our blog life as well. My blog has seen lots of ups and downs, but mostly for its tremendous growth, I would have to thank the WordPress community for that. A rise in stats when I publish a post, lots of likes and comments make for me a happy blogger. Be honest, you want your work to be appreciated and positive feedback is even better. Interacting with your readers and fellow bloggers I look forward to the most. Granting you write for yourself first and foremost but unless you intend for your blog to be a personal and private journal then why publish online in the first place. On hindsight, we all blog for different reasons anyway. I also realized I have to make a few changes to my blog, possibly change my header (new look!) and tweak out something here and there. The biggest change however would have to be removing the “Music” category. Didn’t get a lot of hits out of that one. This blog has never been about music in the first place, I just added that there before because certain songs reminded me of the state of mind I was in. I am no longer THERE as I have moved on so to keep up with the New Year, I need a fresh new look. As for when I will do that, hmm…. it’ll happen soon. It also amazes me looking at my stats again that people from different parts of the world have visited my blog. I did a quick scan of the countries and three of them stood out: Guernsey, Isle of Man and Uzbekistan. First of all, I have never heard of Guernsey in my life before (have you?) so I googled it and turns out, it is an island of the British crown dependency located in the English Channel. Very interesting. A warm hello to the reader from Guernsey!!! Here’s where it gets more interesting. Isle of Man I have sorta heard of it but never knew where it was so I googled again. It is another island of the British crown dependency in between Ireland and England. Do you think this is the same person from Guernsey? Another cheerful hello to the reader from Isle of Man!!! And lastly, Uzbekistan. Any country ending in “stan” I figured comes from the former Soviet Republic. But really, somebody from Uzbekistan bothered to read my blog? Maybe not read read, but came across by accident or skimmed through probably researching for something. Still, I am utterly in awe. A sunshiny hello from Florida to the reader from Uzbekistan!!! The world has gotten smaller indeed. Meanwhile, if you are still reading this very long post, and you have nothing else to do, from the Stats section, I have compiled my ten most visited posts since I first started blogging. Happy Blogging and a HAPPY NEW YEAR TO ALL OF YOU!!! I’ve been blogging mostly about my travels and personal life but never really touched much about my work. Well aside from HIPAA* laws that prevent us from revealing and divulging our patients’ private health information, I haven’t really found the urge to write about it (my work, not my patient’s private health information, I don’t want to get fired, thank you!) until now. Welcome to my boring nurse life! 1600 – My alarm goes off. Time to wake up! 1630 – Done showering and changing into half my scrubs. 1630-1700 – Dinner with the hubby. 1700-1730 – Finishing up, getting ready for work. Top scrubs donned, after brushing my teeth (of course I do not want my top to be smeared with food or toothpaste). 1730-1745 – Getting my lunch food/snacks ready, and my hubby’s too, if he is also working. Playing around with Facebook, WordPress and/or emails while waiting. 1746-1835 – Off to work. It takes about 45 mins to get there, more with traffic (God forbid there are no accidents on the highway). I work about 23 miles away. The drive isn’t bad as it is mostly along the river. Pretty views, nice houses. 1835 – I clock in, more or less. 1836-1900 – Supposed to get report from day RN*. That depends on how busy the nurse was during the shift. I patiently wait until they are ready to give report by looking up labs, patient’s history, checking the chart, or going into my patient’s room and introduce myself while writing my name on the white board (in no particular order). Check bed alarms. 1900-1930 – After shift change report while doing walking rounds with the off going nurse, I TRY to get organized. Try being the operative word here because you can get stuck in a patient’s room easily during change of shift. A lot of things need to be done, for some reason, everyone wants something at the same time at the change of shift. Pain meds, ice water, potty, questions about their care…bed alarms. 1930-2000 – After answering all needs at that given moment (one at a time of course, and if it can be delegated, with my CNA’s* help), I sit down look at my papers, review my patients’ plan of care, make a note of their medication times and check their charts for new/missed orders. 2000-2100 – Assess my patients. But, take note, when I first rounded on them earlier, I was already doing a quick mental assessment. Is my patient alert, awake and oriented to name, place and time? Is my patient in pain? How are they breathing? If my patient needed to urinate, can he/she stand up on their own and walk to the bathroom or do they need help getting up or do they need a urinal/bedpan? If they need the bedpan, as the patient is turning to their side, I am already checking out their behinds and note any skin breakdowns or pressure ulcers. Also while the blankets are off, I am already noting for any edema, ecchymotic areas, skin tears elsewhere, IVs* in place, dressings if any. Do they have a foley catheter, what is the urine color? While they are drinking water, are they able to hold the cup on their own? Any problems swallowing? What are their IV fluids, IV drips? Are the rates correct? Last bowel movements? All these noted while I am talking or assisting them with their needs. By the way, make sure that bed alarm is on! So the more detailed assessment involves, checking for their neuro* status if the patient is lethargic or unresponsive, listening to their lung sounds, heart beat and bowel sounds, feeling for pulses. Before I leave the room, bed alarm. 2100-2300 – I start preparing my meds in the med room. Night time meds are usually timed at 2200 in most of the facilities I’ve worked at. We have an allowance of 30 minutes before and 30 minutes after that to administer them. Anything before 2130 is too early and anything after 2230 is too late. That is assuming your night goes well. You know, with no interruptions from doctors, phone calls, family members and patients. But this is the real world. Okay, let me finish this clean up first. 15 minutes later, you go in bring them their drugs of choice and they are mad at you for being late. Why can’t another nurse bring them their pain meds if I was busy with another patient? Uhh, that nurse is busy passing meds too… So, I give them their meds and you hear a bed alarm go off, excuse me, I have to go check on that bed alarm. It is your elderly 80 something year old who wants to go to the bathroom. You help them get up, make sure their red socks are on, get them their walker and off to the bathroom you go. You either wait till they’re done or ask them to pull on that cord when they’re done. If I don’t trust you, I will wait until you’re done unless a CNA comes in to take over. No one falls under my watch. 2300-0000 – Finally, done with meds. Having tucked all our patients in bed, wrapped them warmly in their blankets, SCDs* are attached, most importantly, bed alarms are on, I sit down and start to chart. CNAs do their midnight vitals so naturally, wakes the patient up. Call lights go off. Patient in 201 wants his sleeping pill. Patient 202 wants her pain med. Patient 203 wants to potty. And the cycle goes on until they go back to sleep again. IF they go to sleep at all. 0000-0400 – Quiet time. We aren’t really supposed to say the Q word because that is considered a jinx. I’ve been in nursing long enough to believe in superstitious beliefs such as the Q word and full moons. While our patients are restfully healing in their sleep, we faithfully do our hourly rounding alternating between CNA and RN. In between that, we take our 30 minute mandated lunch breaks. Yes, we night shifters have lunch at 2 am! We are weird that way. By the way, have I mentioned that this nurse needs to go to a potty break too? In the madness earlier, I forgot to pee. A nurse averages going to the bathroom 1-2 times during a 12 hour shift, on a normal day/night, if they’re lucky, sometimes none at all. Most times, they get affected with the “F2P syndrome “. We also do our 24 hour chart checks. This is to ensure nothing has been missed during the day, no order has been left un-noted and not done, that all treatments and labs are put in the computer where they are supposed to be, that the MARs* are up to date and correct. Nursing is a 24 hour job. Charge Nurse calls. You are getting an admission. Uh-oh. I am halfway done with my charting and my chart checks. Regardless like a real trooper, you call ER* for report and receive the patient (with open arms?) with a welcoming smile and do your orientation and admission spiel. Your shift could end well and early if you get a “good” admission. If your admit is a train wreck, good luck!!! 0500 – It’s almost time. Phlebotomist/lab tech comes in and wakes everybody up with lab draws. Call bells and bed alarms go off. The cycle continues. 0600 – Time to pass that Synthroid and Protonix. Wake everybody up again. You sit down to finish your charting. 0620 – Patient in 202 wants her pain med. Patient in 201 pulled out her IV and is bleeding profusely. Bed alarm in 203. Really. 0635 – All fires are put out. Pain med given, new IV access inserted, patient back in bed with bed alarm on. Where is that day shift RN? I go home just around 0730 tired and exhausted, more so if it’s my 3rd night. I drive back home trying to stay awake and the minute my head hits my pillow (after a small breakfast and a quick shower), I fall asleep dreaming of bed alarms and call bells. Here’s to nurses and all caregivers!!! That Traveling Nurse is Now ONE YEAR OLD!!! Has it already been twelve months? Time has gone by since that first post I timidly published on my blog, not too long ago. It has definitely been a journey for me. Who knew all these would happen in one year? Who knew I would last this long? I have accomplished a lot both professionally and personally, learned a lot of valuable life lessons along the way and somehow, managed to come out whole and happy! To celebrate my anniversary, I will take you for a walk to the places I’ve been to in the past year. For some reason, I have a penchant for taking pictures of my feet. Hey, my feet may not be the prettiest but what the heck! It tells a story. It reflects my state of mind at that given time. It is me, That Traveling Nurse. My hubby and I are avid fans of Mount LeConte in the Smoky Mountains. We have hiked this mountain four times in the past four years! Oh that Beach Girl in me! My header, if you noticed by the way, is a pair of flip-flops by the beach. Sunshine, sea and sand always make me happy. For those that read and remembered my first few posts, this was my story on how I officially became a traveling nurse. Connecticut was where I started my travel nurse life, although I am on hiatus right now from the travel nursing part, I am still very much all about the traveling. Grassy fields, railroad tracks, pavements… whatever path you take, go with a sense of adventure and childlike wonder! Life is as simple or as complicated as you want it to be. The colors and patterns of our lives are to be enjoyed and taken as lessons. Lessons that will either leave you overwhelmed by its complexity or surprised at its straightforwardness. I find beauty and inspiration in the smallest and simplest of things. That’s why I tend to look down on the ground I am stepping on and realize that although our feet may be weary, our hearts and souls can still see the beauty of what lies beneath our feet. I am ending this foot journey with me in my scrubs and work shoes. After all, I am still a nurse who can “shock you back to life”! THANK YOU FOR FOLLOWING ME MY FRIENDS!!! HAPPY ONE YEAR!!! The Best $125 Ever Spent!!! Whenever you see a child smile, it always brings a smile to your face. Whenever you see a child cry, it just breaks your heart. Whenever you see a child go hungry, words will simply fail you. It was a bright sunny day at Talisay City, Cebu when we met a hundred or so kids around lunchtime. These kids were Sunday school students of a classmate in nursing school. She helped facilitate this mini feeding project as she knows them pretty well and their church also has a lot of programs for the indigent and needy families in the area. She was looking for a sponsor for the kids, be it monetary donations or used clothing or a feeding project. When I heard about it, I jumped in at the opportunity. I believe in giving back to those in need, specially the children. Now where does the $125 fit in? It came in the form of McDonald’s lunch packs, chicken with rice and a soft drink. Yes, McD’s in the Philippines sell chicken AND rice, among other local favorites. One hundred lunch packs were ordered for one hundred children. Now before someone criticizes me for giving away McDonald’s, considered to be the number one cause of obesity in America, let me first tell you that these kids (and their parents) can barely afford a meal at McDonald’s or any fast food joint for that matter. Obesity? Hardly! I don’t know if they can even eat three times a day. So, THIS is considered a luxurious treat for them. They were told to wait for us at the city’s abandoned wet market. The space was big and clean and could accommodate the group safely. It was situated right above the river where most of these children lived with their families in shanties and shacks. They are called squatters, informal dwellers who do not own the land they built their houses on. Other than the fear of being evicted anytime by the real land owner or the government and face the risk of having their homes destroyed, they also live precariously beside this river that could swell and flood anytime the monsoon season begins. And it has in fact, swept away homes and lives in the past. As bleak as their situations may be, they were waiting for us smiling and eager to interact. The older ones even helped manage this young crowd. Two lines were formed, boys and girls as they received their lunch packs. As the lines progressed, I could see more women and mothers with their children coming and running to make it to the lines, hoping they can still have a meal. But only the Sunday school kids were counted so the rest, unfortunately were turned down. I wished we had more! It was a day my husband and I will never forget. He told me it was a very good idea to do this before we came back to America. Sometimes, you just tend to forget your blessings. You take them for granted. Only in situations like this are you reminded of how much you should be grateful for and only in situations like this tell you that nothing sounds so sweeter than a child’s “thank you”. My heart ached every time I looked at them. The first few moments when we arrived, I had to fiercely hold back my tears. I thought I couldn’t go through with it. But, look at them, here. All smiles. Such innocence! It may not be much, what we did. We certainly were unable to provide for everyone in the area, for that I feel sorry for the mothers and children who went home empty handed and hungry. I know that this is not the most sustainable and practical way to help out. Dole outs are never the answer but I am just one person in the sea of millions of people suffering out there. I will leave the educating and empowering to the more experienced organizations and groups. I am advocating though for those who have the heart and the means to help to give back to society, to that struggling single working mother two doors down your apartment, to those who lost their homes in a fire/tornado/hurricane, to that elderly man who lives alone in his tiny home, to our brothers and sisters across the globe who are victims of political and religious oppression, to the children who are starving and are left as orphans. Before I start sounding like a United Nations commercial, yes, giving back does not mean giving thousands of dollars. It can be as simple as giving a warm meal to that struggling mother, used clothes for the fire victims, a helping hand to that elderly man, prayers for those across the globe. Start small, start within your own backyard. You will be amazed at how people respond to you and you will be richer in your hearts as well. This was the best $125 ever spent!!! Yesterday’s assignment on Blogging 101 gave me a light bulb moment. I would participate in the Weekly Photo Challenge and at the same time compose a haiku for my photo. I am no poet but haikus are short and easy enough to manage. They’re good for those times when I am out of fresh blogging ideas. Let’s see how far I can go with this challenge.